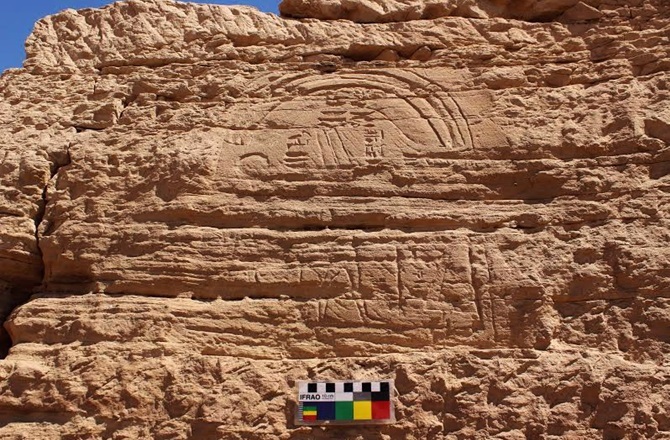 What may seem like a rudimentary carving upon a nondescript rock, pertains to a still unidentified Pharaoh who might have lived after the period of 11th century BC. The fascinating discovery was made by Sweden’s Lund University archaeologists, within the sandstone quarries of Gebel el Sisila. 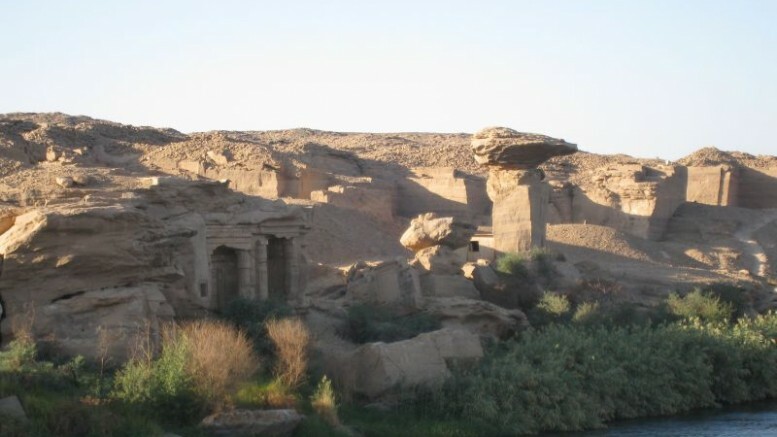 These are located north of Aswan, and were used in ancient times to supply stones for famed sites such as Karnak and Luxor. As for the carving itself, the stela was created around 5 ft above the ground level, with the engraved scope depicting the ruler making his offering to two major Egyptian gods – Amun-Ra and Thoth. Some of the initial analysis of the engraving alluded to the hypothesis that the Pharaoh most probably belonged to the Third Intermediate Period, which historically started after the demise of Ramesses XI in 1070 BC. Coming to the deciphered inscription upon the rock stela in question, the text is limited to the titles of the aforementioned gods, along with the title of the Pharaoh (that reads ‘Lord of the Two Lands’) and a rudimentary epithet. It’s particularly rare for these two deities to be portrayed together. We can see the characteristic double feather crown of Amun-Ra, and the moon disc of the ibis-headed Thoth. Unfortunately, the item presented by the pharaoh is no longer discernible. Interestingly, the quarry site has divulged more than 60 specimens of similar rock-art, with their locations being on both banks of the Nile. Such array of depictions include abstract patterns, geometric patterns, object inscriptions, animal illustrations, and even the rare portrayal of two obelisks being hewed and loaded onto the boats. And quite incredibly, the range of artworks flaunt their antediluvian dates of 8500 BC (Epipalaeolithic period) to 2600 BC (Early Dynastic Period).